TabletPC ReviewSpot reviewed Toshiba Portege M400 Table PC that runs Microsft Windows Tablet PC edition, and has a advanced powerhouse performance in supremely portable and small package. 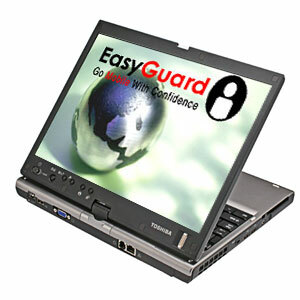 The Tablet PC is further enhanced with extended battery life and Toshiba EasyGuard technology designed for optimal reliability, security, connectivity and optimization. Very Good Portability and Build Quality. More Toshiba Portege M400 reviews.